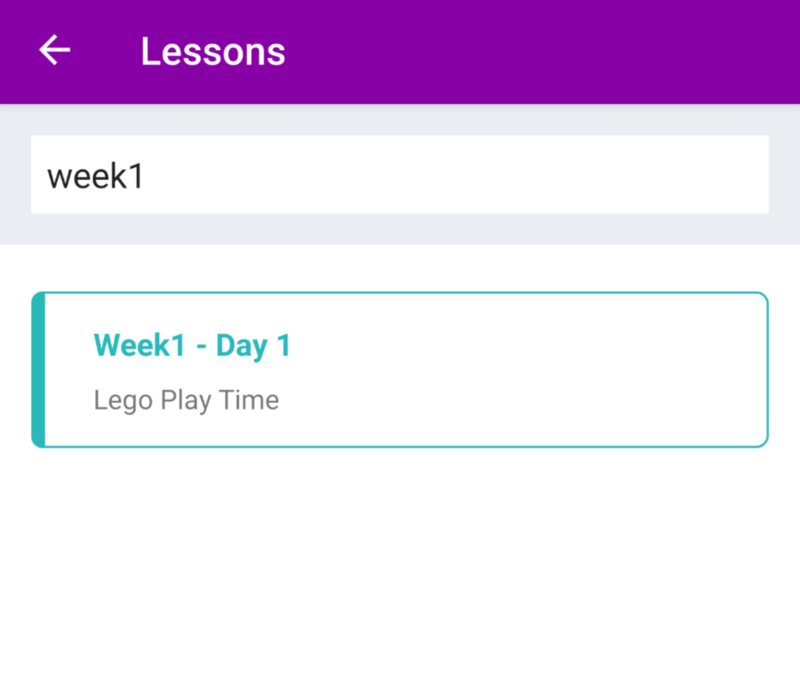 Use the Learning tab on the brightwheel mobile app to find & view Lesson Plans, review specific Lessons, and log Observations for students. After you have created Lessons and added them to your Lesson Plans, you can search and view them anytime from the Learning section on your mobile device. Teachers who are assigned to Rooms can view any Lesson Plans assigned to those Rooms. 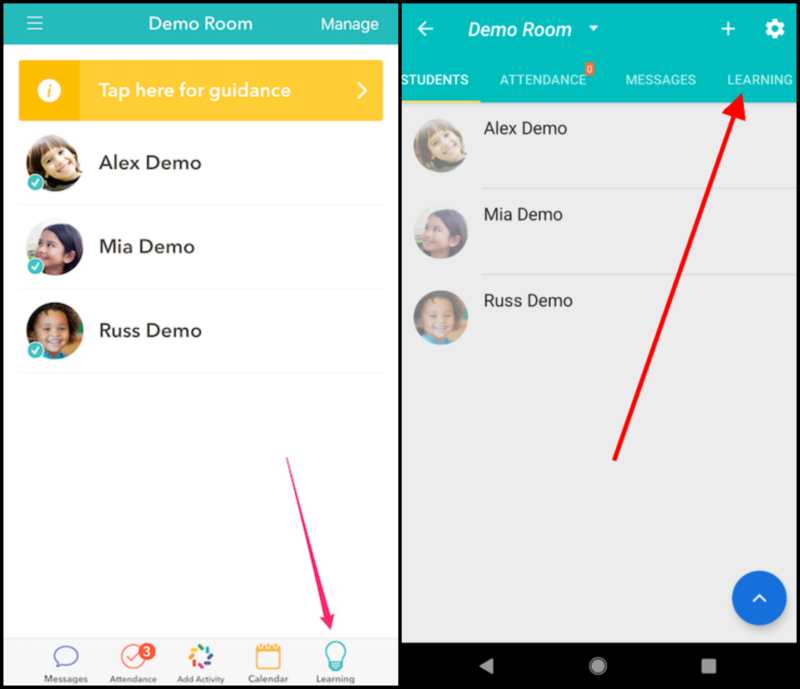 If your school uses Room Device Mode, Lesson Plans assigned to that Room will be be visible to anyone who uses that device. 3. Drag the calendar at the top of the screen to scroll through the days, this screen will default to the current week. Please Note: The iOS app does not allow for scrolling through weeks at this time.